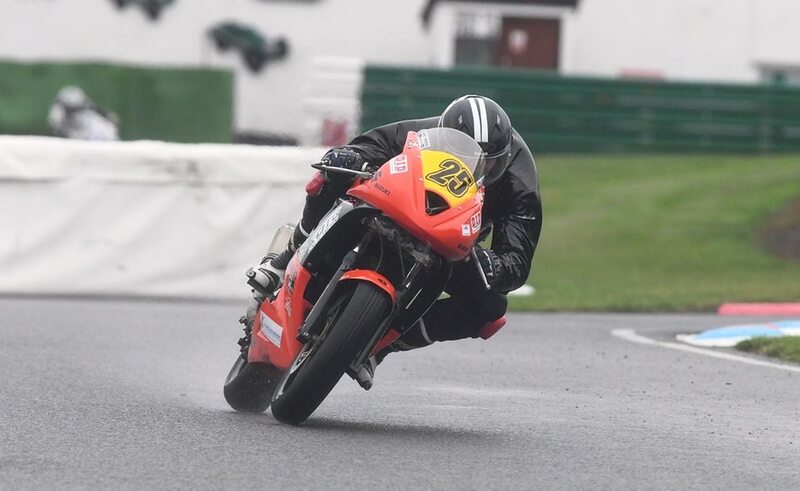 Three young stars battled the elements to secure some positive results – with one Staffordshire teenager rubbing shoulders with the best motorbike racers in the world. Eccleshall's Storm Stacey returned to British Talent Cup and raced on the undercard of the MotoGP at Silverstone. And while the main race was cancelled due to severe downpours on a new track surface that caused dangerous puddles, the 14-year-old and the rest of the young starlets were able to get in one of their two rounds. Adrian Mason, his boss at FPW Racing, the team he will be back riding under at the British Motostar championship back at Silverstone this weekend (SEP 7-8), said: "Storm was a lot more positive on the Honda over the weekend and seems to have adapted his style from riding his KTM in the British Motostar to the smaller Honda NSF250." Stacey went out for a dry first free practice session on slicks and was second quickest behind eventual race winner Rory Skinner – and the pair then swapped places for the second practice, with Stacey topping the standings. Qualifying looked to be going well, with the Staffordshire star sitting third behind Skinner and Thomas Strudwick, but he was only able to complete four laps after high-siding at the chicane between turns eight and nine. Mason said: "After getting a good start from third on grid in the race, he was in third for the first few laps with Skinner and Strudwick. "Unfortunately, as the race went, Storm's now six-foot frame hindered him. "Despite trying to tuck in behind the standard Honda's small fairings on the ultra-fast Silverstone straights, he got caught first by Max Cook and then Scott Swann. "Storm battled to the end with Swann ending the race in his best talent cup position of fifth." Race two was cancelled due to excessive water on track. 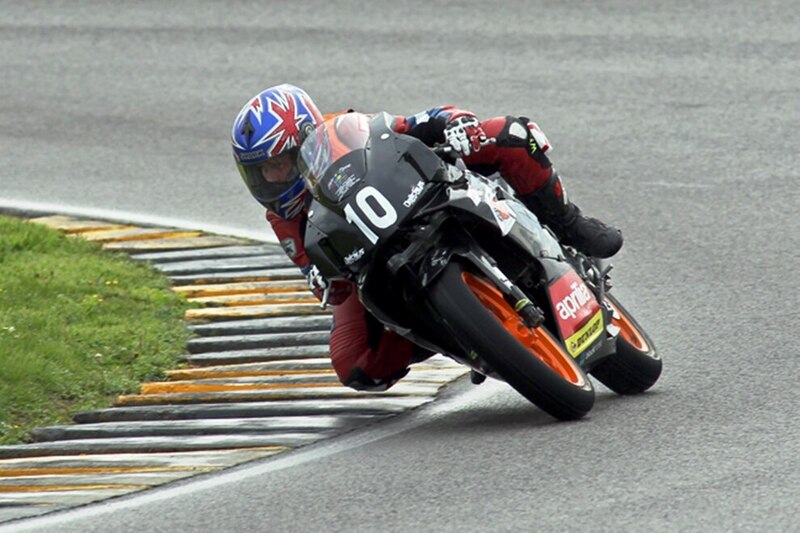 Ben Taylor was back in the Thundersport GB action, racing in the Superteens class at Anglesey. But with the weather playing havoc, the 12-year-old, from Kidderminster, also high-sided during qualifying. "The weather was terrible and I was struggling to get to grips with the circuit and with the motor needing a full rebuild due to being down on power, we struggled to get the right set up," said Taylor. "Sunday morning, it was raining, as it had most of the night, so the Superteens had to do their qualifying with the 500 Freshman class guys. "I felt good and I was running fifth out of 29 on the timing sheets when I high-sided coming through the corkscrew. "I got straight up and made my way off track but was quite sore. "After being checked over by the brilliant medical staff I was declared fit to race and qualified the top 125cc rider." Suffering from whiplash, a badly-bruised Taylor bravely finished the weekend finishing fourth in the Superteens class in all four of his races. 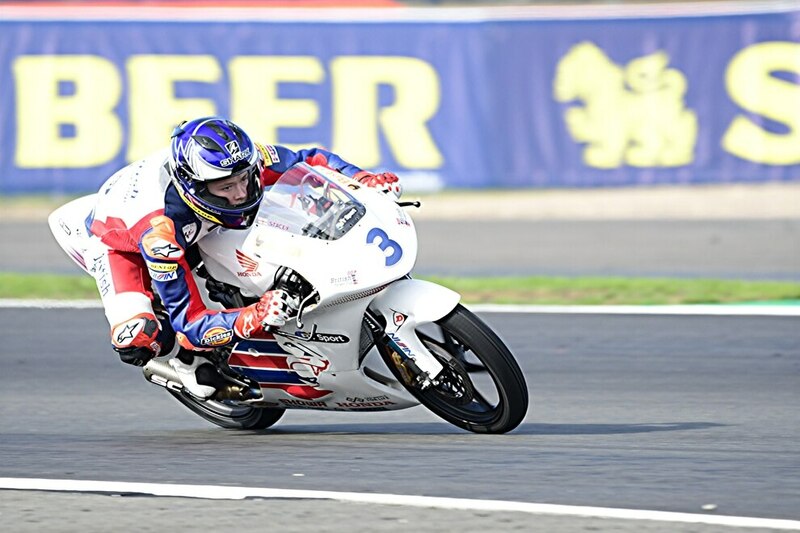 Taylor's impressive form also saw him make the 2019 British Talent Cup selection event but after making it through to the second he just missed out on final top 20. "I would like to thank Bike-N-Sport, DC-Speedshop, Geartech, Hideout Leathers, Spektrum Interiors, Motul, Sbxtreme, and mom and dad for all their support," he added. Chris Ashfield, 24, from Kinver, is closing in the on the Minitwins class title, in the East Midlands Racing Association series, after securing another two wins at Mallory Park. He said: "The weekend couldn't have gone better. I had another two wins but the racer who was second in the championship unfortunately had a lot of issues. "It means I now have a 98-point lead heading into the final round, so for me to win the championship I only require another three points."